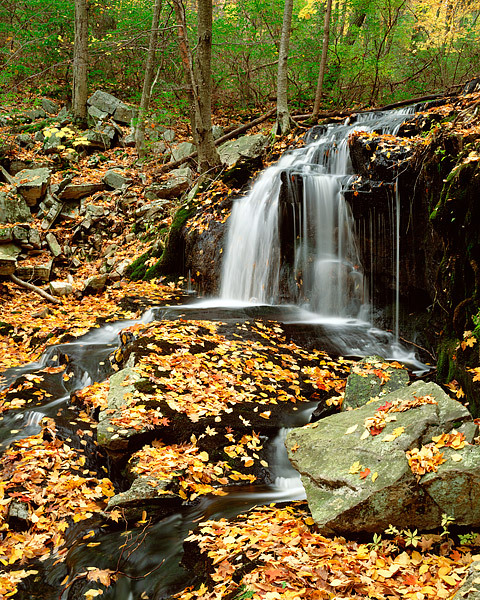 Located deep in the woods of Harriman State Park, lies Tioratti Falls. New York's fall color is peaking as the creek spills over falls and through the color autumn ground cover. Photo © copyright by Thomas Mangan.